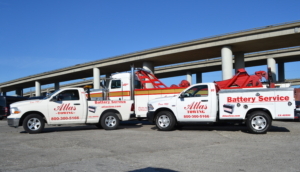 Reliability and industry expertise is the backbone of our company; our relentless commitment to exceeding expectations makes Atlas Towing the go-to roadside assistance company in the Bay Area. Our team will expend their knowledge and resources to get your vehicle back on the road, quickly and efficiently. It’s just around midnight and you’re a little under two hours to your destination. Tomorrow is your friend’s birthday, and you left straight from work to surprise him with a day of birthday festivities. As you’re finalizing the last-minute details in your head, your car starts emitting a strange odor, followed by loud noises that are stemming from your engine. Within minutes, you’re on the side of the road, with all of the birthday plans slowly dissipating from your mind. You’re stuck, and it’s too late to call on a repair shop for assistance. No vehicle breakdown is ever planned, and it often occurs during the most inconvenient hours: the middle of the night, weekends, holidays, and of course, after service and repair shop businesses have closed for the day. With storage services, vehicles are removed from the breakdown location safely, and then stored securely in a lot until help is available. Whether that means after-hour or over the weekend, a storage lot is the safest way to get your vehicle off of the side of the road. Atlas understands that flexibility is essential during these times. In an attempt to meet those needs, Atlas established two large lots in the Bay Area—in San Francisco and in San Mateo. These two lots allow us to provide more convenient storage accommodations for any size vehicle. Our extensive storage capabilities and our team members’ dedication to working around the clock enable us to offer superior towing and storage services during even the most inopportune times. Our tow truck drivers will arrive at the breakdown location quickly, and will safely tow and transport your vehicle to one of our two storage facilities. If needed, we even will provide your vehicle with a next-day or next-business-day tow-out. In addition, if the cause of the breakdown was accident-related, we will conveniently offer storage for your vehicle until an adjuster is available to come inspect it and provide an estimate of the damage. Lot space is in high demand. This occasional vehicle overcrowding has the potential to hinder our ability to efficiently perform all of the necessary services that we offer. 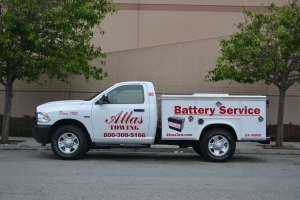 In order to protect our quality of care, Atlas Towing came up with a solution to alleviate overcrowding by holding weekly sales of abandoned vehicles on our lot. Any vehicle that has been sitting on our lot for an extended period of time must eventually be removed. To avoid disposing of vehicles that hold new ownership potential, we take a mutually beneficial approach by allowing the vehicles to be sold to new owners—once again, creating open space on our lot. Selling abandoned vehicles both alleviates our lot from overcrowding and allows vehicle seekers to buy a used car at a great price. We strive to ensure that our set price for the vehicle is at an absolute minimum; however, since we are uninformed of the vehicle’s prior history and unaware of the vehicle’s wellbeing in its current condition, no promises, warranties, guarantees or refunds will be included with the sale. If you’re looking for a new vehicle, sales take place on Tuesdays from 11 a.m.–1 p.m. Keep in mind that vehicle sales are contingent on that week’s inventory availability. If the inventory is scarce and does not support sales, then a sale will not take place. When there’s a need for vehicle assistance, Atlas will always find a way to help. Contact us at 800.300.5166 for any of your vehicle storage or roadside assistance services today!